Sure, social media is the perfect fix for mid-day boredom, but it’s also a very effective tool for brands to connect with consumers — when used correctly. We caught up with four social media gurus from Austin tech to learn a few of their dos and don’ts of social media and asked them to reflect on the biggest social media no-no’s they’ve seen. As a sophomore in college in 2011, Rachel Phillips began using social media to grow her personal brand, Rachel Lately. Upon graduating in 2013, she turned professional, working fulltime in social media marketing for local businesses and international brands. Today, Phillips serves as social community manager for EverlyWell, the Austin-based at-home health test startup. Be consistent with your content. Have a posting schedule, and stick to it! Your content should also provide something useful to the user; it should either make them feel something (like a video that makes them laugh or a quote that inspires them) or teach them something (like an informative article or an infographic image). Respond to all comments and inquiries, good or bad. People like to see that you are involved with your customers and aren't just another faceless brand. Give your responses some personality as well; no one wants to think they're speaking to an autobot. Be niche with your hashtags so your target audience is more likely to see your posts. Treat all your social channels the same. Your demographics are going to be different on each channel, so what may work great for Facebook may not necessarily work as well on Instagram. Delete negative comments. If a customer is complaining or unsatisfied, use this as an opportunity to address the problem and see how you can fix it by interacting with the customer directly. What's the worst thing you've ever seen a brand do on social media? Buy thousands of followers to appear more established. You can always tell that a brand has purchased followers when their audience is over 50,000 on a certain social channel, yet their audience engagement on each post is incredibly low. It comes off as inauthentic and doesn't inspire people to follow you. Marie Carlson began her social media career with an internship while in school and has since worked in the biz for nearly five years. Carlson manages the social media accounts for the Austin outdoorsy media startup Wide Social Spaces. Be human! I've seen many businesses forget that social media is just that — social. Whether you're showing off something behind-the-scenes of your business, showcasing a philanthropy, or just posting an article, keep your tone of voice in mind and write to connect with your customer. Decide your objective. Social media is more than just posting, you have to create a strategy, and that strategy is going to be different for every business. Get too focused on the negatives. Depending on your business, you may want to filter out a derogatory comment if you catch it, but remember that everyone does have free speech. That said, if someone posts something negative about your business, it's best not to hide or delete it. Instead, reply to the comment (as your business of course) and try to solve the issue if you can. What effects can social media have on a biz? Social media can make or break a business's reputation. Whataburger, Wendy's, and other fast food joints have made headlines for interacting with fans (the Wendy's fan getting RT's for free food), trolling (Whataburger is amazing with this — just one example is when they trolled Notre Dame after a UT win), and featuring fan photos or posts. On the other hand, if you're a small mom and pop shop and you're getting a ton of negative comments or reviews about your business that you're not addressing, this can seriously impact your business. 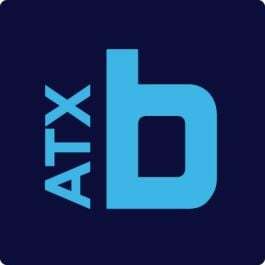 Recently, a bar here in Austin went under fire for a very lengthy negative review online about poor service and discrimination. This went viral in the community and, because of the content, caused other local bars to band together and show that they were not interested in supporting any kind of discrimination. Edward Stockwell, social media manager for Austin production company Rooster Teeth, has worked in social media professionally for about three years. Stockwell described social media as a hammer — a tool for building that can also be used to tear down. To avoid destruction, Stockwell said to have a solid social media strategy. Take the time to interact with your audience and you'll only be rewarded down the line. People get a little thrill out of being noticed by a brand or influencer, especially if those people are fans of your brand. Take risks. It can be daunting to try something new or outside the box on your business social channels, as those are usually the most forward-facing components your business has. That being said, I'd rather try something new and fail loudly than quietly chip away at the status quo. One of my favorite bosses once told me, "If I don't call you into my office and ask, 'What the hell were you thinking?' at least a dozen times a year, you're not doing your job correctly.'" That really stuck with me. Don't go against your gut. That little voice saying, “Hmm. Are you sure you should be posting this?” is your intuition telling you that what you're about to post is probably going to be taken the wrong way by your audience and may send you up Sh*t Creek without a paddle. For the past several years, I've partaken in an annual ritual of seeing which brand decided to insert themselves unnaturally into the memorial of 9/11. This year it was Veggie Tales. The lure of trending hashtags or topics is a siren song too powerful for some companies to avoid. Always ask yourself if your brand belongs in a conversation before you enter it. Meredith Gonsalves, a social media pro with six years of experience, said social media acts as a digital window to a business’s storefront. Meaning that for many brands, social media is often the first interaction and impression between them and a potential client — so don’t blow it! Gonsalves is the digital and social content strategist for Deloitte and social media instructor at General Assembly. Always work on tying what your activity and engagement strategies on social media to what you're trying to accomplish on social media. For example, if you're a B2B tech company, how are you specifically leveraging social media to generate leads? Don’t just posting for the sake of posting. It's easy to get caught up in quantity. To stay competitive, we often feel the pressure to post A LOT of content. But I challenge businesses to post more intentionally. Rather than volume, focus your efforts on creating social media quality content for your target audience. Also, don’t treat all channels the same. Each channel should have a different purpose, content strategy, and success metrics for your business. I’ve noticed a lot brands that will jump into conversations they have no business being a part of. Some of you may remember DiGiorno's a few years ago sending out an inappropriate tweet the #WhyIStayed hashtag. This was a trending conversation surrounding the Ray Rice domestic violence incident. DiGiorno's later sent out an apology admitting they didn't know what the hashtag was about when they sent the tweet. The lesson here is to be careful and do your research when jumping into online conversations. Probably the biggest difference between social media and traditional marketing is the ability to have a more authentic connection with potential customers, which ultimately has a HUGE impact on your business. Images provided by participants and social media. Responses have been edited for clarity and length.